The Whitman Massacre National Historic Site preserves the remains of the Whitman, or Waiilatpu, Mission (1836-47), the second Protestant mission in the Oregon country. Enduring wilderness hardships and dangers, Dr. Marcus and Narcissa Whitman worked among the Cayuse Indians. 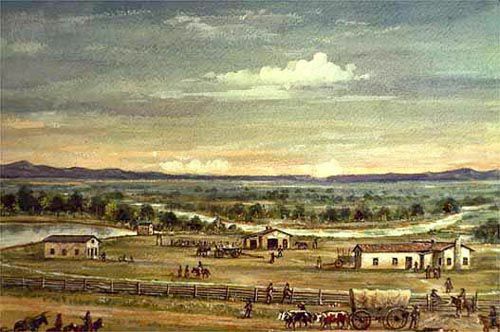 In the 1840s their mission became a haven for Oregon Trail emigrants. The invasion of emigrant-settlers and Indian-missionary misunderstandings brought about the tragic death of the Whitmans at the hands of the Cayuse only two years after the founding of the mission. Early in the 19th century, stirred by accounts of explorers and traders, missionaries began to turn their gaze toward the Oregon country. As early as the 1820s the interdenominational American Board of Commissioners for Foreign Missions began to consider a program there but was discouraged by its remoteness. Finally, in 1835, spurred by reports that a Nez Percé and Flathead delegation had visited governmental officials at St. Louis seeking to learn of the white man’s religion, the board sent the Reverend Samuel Parker and Dr. Marcus Whitman westward to investigate the possibilities. In Missouri, the two men joined a fur caravan heading for the fur traders’ rendezvous along Wyoming’s Green River. Talks with the Flatheads and Nez Percé spawned an enthusiasm on the part of the two men for missionary work in the Northwest. Separating, Parker pushed on to Oregon, wintering at the Hudson’s Bay Company post of Fort Vancouver, Washington, and investigating mission sites before returning to the East by ship the next spring. Whitman immediately returned there to recruit missionaries. In April 1836 Whitman’s party set out from Liberty, Missouri. 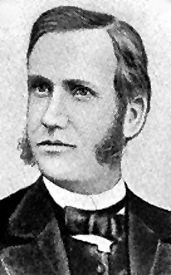 It consisted of himself; his recent bride, Narcissa; the Reverend Henry H. Spalding and his wife, Eliza; and the mechanic-carpenter William H. Gray. 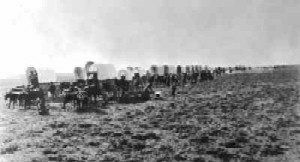 In May they overtook an American Fur Company caravan near the junction of the Platte River and the Loup Fork, in Nebraska. Traveling via Fort Laramie, Wyoming, and across South Pass, they arrived at the Green River Rendezvous in July. Escorted by two Hudson’s Bay Company traders, the party then set out on a long journey via Fort Hall to Fort Vancouver, where it arrived in September. The two wives were the first American women to travel across the continent. The men soon retraced their steps up the Columbia River to choose mission sites, while the women enjoyed the hospitality of Chief Factor John McLoughlin. Whitman chose a spot in southeastern Washington on Mill Creek on the north bank of the Walla Walla River, 22 miles above its junction with the Columbia and the Hudson’s Bay Company post of Fort Walla Walla. The local Indians, the Cayuse, called the spot Waiilatpu (“Place of the Rye Grass”). Spalding chose a site 110 miles farther east, where he founded among the Nez Perce Indians what came to be known as the Spalding Mission, Idaho. The next March, Mrs. Whitman gave birth to a daughter, Alice Clarissa, the first American child born in the Pacific Northwest; two years later the child died in a tragic drowning accident. In 1838 missionary reinforcements arrived. Among them were the Reverends Elkanah Walker and Cushing Eells and their wives, who the next year founded the Tshimakain Mission about 135 miles to the north. That same year the Reverend Asa B. Smith established among the Nez Percé the Kamiah Mission, Idaho, about 50 miles up the Clearwater River from the Spalding Mission; he maintained the mission only two years, abandoning it because of disillusionment and a sick wife. In the meantime, construction of the Whitman Mission, informal headquarters of the mission field, had begun. In time, it included a large adobe mission house; Gray’s adobe residence, in later years a shelter for emigrants; a gristmill; a blacksmith shop; and a sawmill, 22 miles away. Yet, despite Whitman’s energy and devotion, progress in educating and converting the Cayuse was slow. Rejecting his plea to become farmers, most of them continued their nomadic way of life. They were also less eager to learn than Whitman had anticipated and were indifferent to Christianity. Furthermore, he and the Indians were unable to understand each other’s customs. In addition, he and all the missionaries at the other mission stations quarreled continually. Reports of this dissension and budgetary problems caused the American Board in 1842 to order that the Whitman and Spalding Missions be closed. It directed the Spaldings to return to the East, and the Whitmans to move to the Tshimakain Mission. The missionaries ignored these instructions. To plead their case before the board, Whitman returned to Boston in a harrowing winter journey in 1842-43. After listening to his arguments, the board rescinded its original orders. 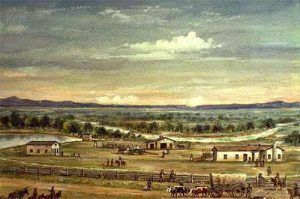 On the return trip, at Independence, Missouri, Whitman in May 1843 intercepted a huge wagon train of about 1,000 emigrants, the largest wagon train to that time on the Oregon Trail. As the expedition’s physician and part-time guide, he accompanied it to his mission. There the members rested and replenished their supplies, as had another expedition the previous year. From then on, Waiilatpu was a major way station on the trail. Even though the main trail soon bypassed it, sick and destitute emigrants headed there and received kind and generous treatment. After Whitman’s return to Waiilatpu in 1843, relations among the missionaries improved somewhat. Those between the Indians and the missionaries, however, further deteriorated. The increasing numbers of emigrants frightened the Cayuse, who were aware that they were taking over Indian lands elsewhere and were bringing measles epidemics that decimated entire tribes. Whitman was also devoting more and more time to caring for emigrants and less to them. As a result, the Native Americans were rapidly losing faith in the missionaries. Their growing resentment was heightened in the autumn of 1847 when a measles epidemic spread from the wagon trains to their villages and within two months killed about half of them. Because Whitman was unable to check the epidemic, some of the Indians came to believe he was poisoning them to make way for settlers. On November 29, 1847, a small group of Cayuse assaulted the mission, at the time sheltering 74 people, most of them emigrants. The attackers killed 13 people, including Marcus and Narcissa Whitman. A few of the survivors escaped. The Indians captured 49 people, mostly women, and children. Two of the young girls died; and the next month Peter Skene Ogden, a Hudson’s Bay Company official, ransomed the rest. 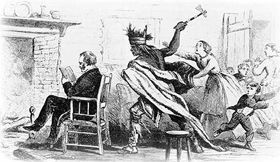 The massacre, which set off the Cayuse War (1848), temporarily ended Protestant missionary efforts in the Oregon country. In 1848 emissaries of Oregon’s provisional legislature, which had been seeking Territorial status, carried news of the tragedy and petitions to Washington, D.C. Congress reacted by creating Oregon Territory, the first one west of the Rockies. The Oregon Militia responded to the Whitman Massacre in what would become known as the Cayuse War which would result in a number of battles over the next seven years. In March 1850, the Cayuse were persuaded to surrender five men by the names of Tiloukaikt, Tomahas. Klokamas, Isaiachalkis, and Kimasumpkin. The U.S. Cavalry then brought the five accused murderers 250 miles from their homelands to Oregon City, the capital seat of Oregon Territory. Court proceedings began on May 21, 1850, and the Cayuse men were provided with interpreters and lawyers. After the indictment was read, the men pled not guilty. The trial began two days later on May 23rd and was over the next day. After the jury deliberated just 75 minutes, all five men were found guilty and sentenced to be hanged. The execution was carried out on June 3, 1850, before a large crowd of Oregon City spectators. They were buried at the outskirts of Oregon City in unmarked graves. Whitman Mission National Historic Site preserves the foundation ruins of the mission buildings and the restored irrigation ditch, millpond, and orchard. 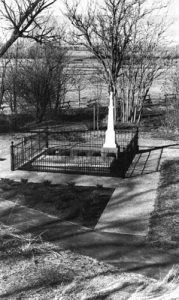 The Great Grave contains the remains of the 1847 massacre victims. A marble slab, placed over the grave in 1897 to commemorate the 50th anniversary of the massacre, is inscribed with their names. On a nearby hill stands a 27-foot-high memorial shaft, dedicated in 1897. The visitor center houses artifacts uncovered by archeologists and interprets the history of the mission and missionary efforts in the Oregon country. The mission is located about seven miles west of Walla Walla, Washington on a short connecting road leading south from U.S. 12. Whitman Mission grave site, courtesy National Park Service.